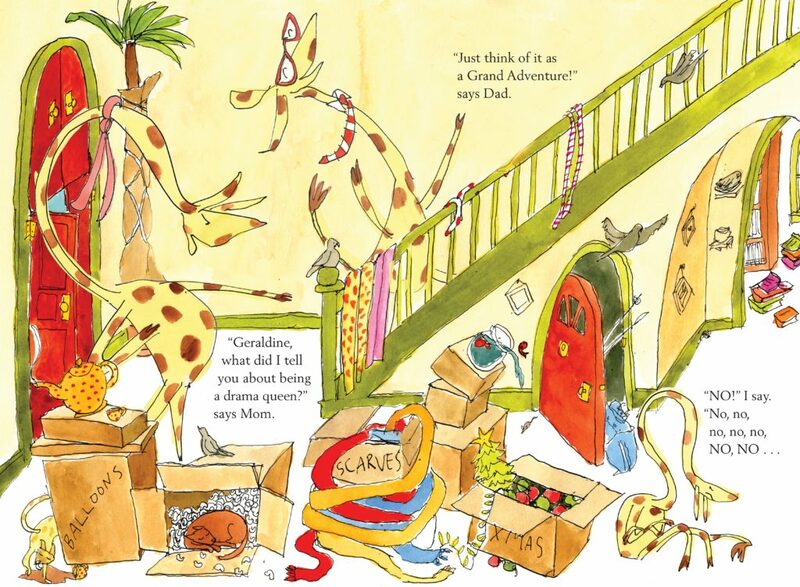 Home Uncategorized Geraldine by Elizabeth Lilly is a Whimsical Treat! She says draped like a deflated balloon over a stool. Obviously Geraldine is unhappy about a move. Poor Geraldine. She just doesn’t fit in. 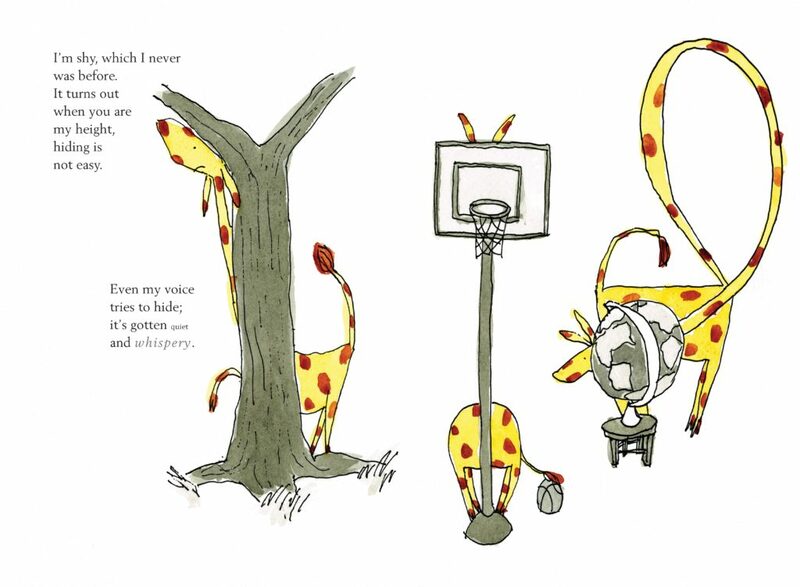 She refers to herself as “That Giraffe Girl” and her voice becomes very, very quiet. a delightful friendship is born. There are many deeper moral implications to this funny and light-hearted tale. Although the main setting deals with the jitters of moving, a new school, and not knowing anyone, Elizabeth Lilly manages to hit the ball a little farther out of the park by wrapping it all up with feelings of inclusion, diversity, and being true to oneself. Elizabeth Lilly, Geraldine, Jennifer Black Reinhardt. Bookmark. Thanks for bringing this one to our attention! I’ll be watching for it on shelves near me. I agree with the Quentin Blake influences. This book looks so wonderful. Did not know about it. Ordering at the library now. Thanks for visiting today, Kathy! Hope you like the book! Seems a great example of letting the ‘simple’ story (text + art) speak on its own merits to larger truths. Thanks! Terrific point, Katie, thank you! “Noodley neck” is perfect! 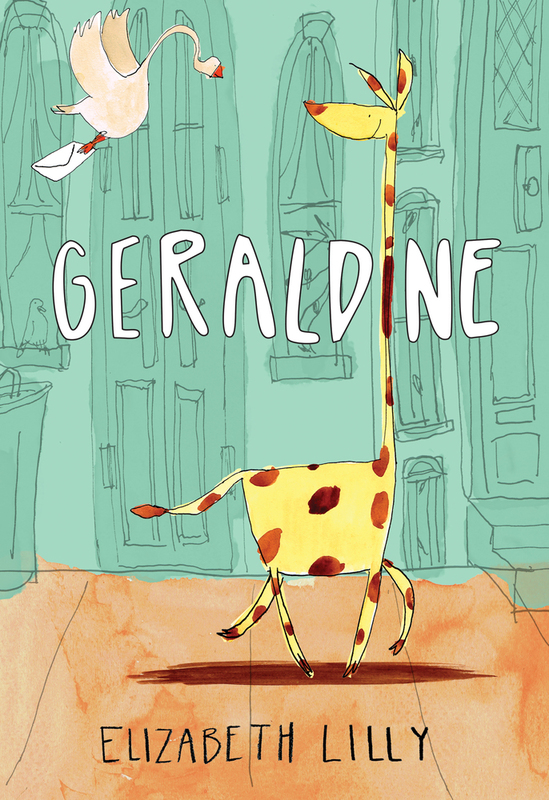 Have loved Geraldine ever since Elizabeth shared her with our Epic18 debut PB group. Looking forward to many more inspired titles from Elizabeth! How wonderful, Cathy! Thank you for visiting and sharing! Giraffes are my favorite! I’ll be looking for this one! It’s a very funny book, Judy—- Enjoy! This looks adorable and full of heart! Can’t wait to read it! Thanks! Thank you, Angie! Hope it makes you giggle! I love this idea! 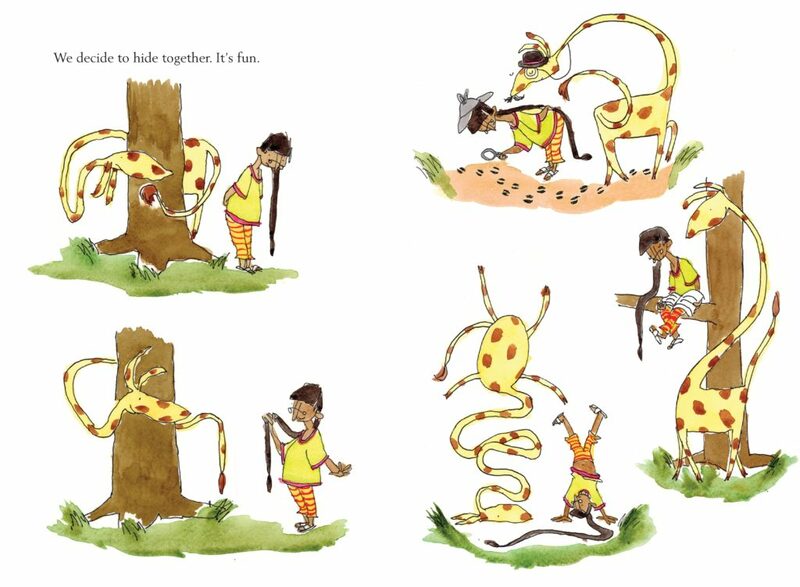 And giraffes! And these illustrations!! Hi, Kevan, it’s very funny—- you’ll love it! What an homage to diversity and finding inner strength! It sure is, Mary! Thank you! Love the drama queen issue combined with a giraffe’s body language! I thought it was very funny, too, Mary. Thanks for visiting and commenting! Love the noodley neck! I can see this PB has it all -especially humor and heart – what a winning combination! Hope you like the book, Danielle! Thank you for stopping by today! 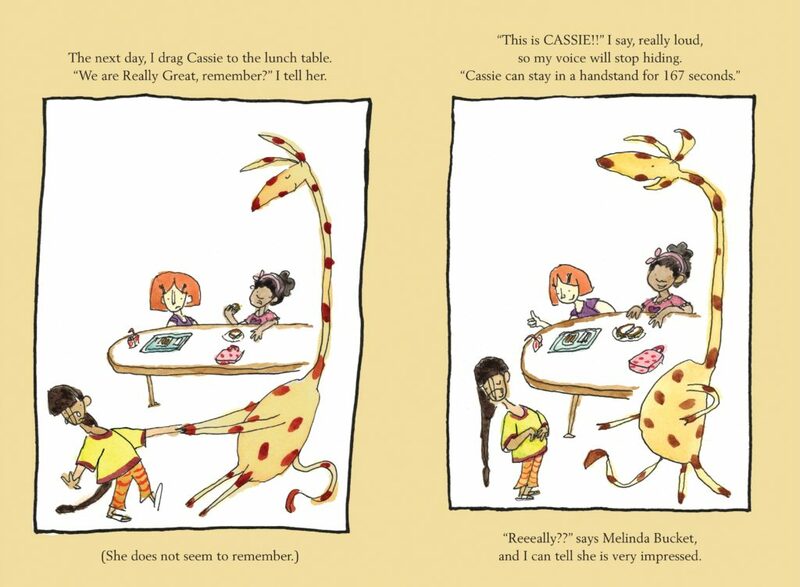 Thank you for introducing me to Geraldine and her new friend, Cassie. Such whimsical illustrations with a special message. You’re very welcome, Suzy. Thank you so much for visiting PBB today! I’m looking forward to reading this book. I’m intrigued by all the layering. I hope you like it, Kathy. I sure did! Thanks for stopping by and commenting! Very cute! Love the voice & illustrations! Hi, Tina! Thanks for visiting us! Thanks for telling us about this book. The characters are interesting and the storyline sounds fun and meaningful. Love the illustrations, too. I’m completely won over! Geraldine is wonderful, in her noodly way. I’ll run out and get a copy! Yes, It’s terrific. Such a great character.